Andreas Kübler and Xaver Willebrand from IMAscore wrote the song „180 Grad“, which is included on the famous DJ and producer Ronny Rockstroh’s first longplayer „Herzpirat“, that was released on November 11th. While Andreas composed the track and it’s remarkable hookline, Xaver wrote the lyrics. In the first week, the album reached the top 20 of the longplayer charts at musicload and the top position at the amazon dance charts. The two writers are very happy, that the official description says, that „(…) especially „180 Grad“ and „Wo sind wir“ are outstanding“. 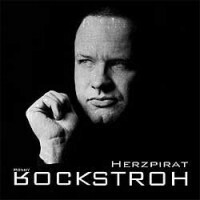 Ronny Rockstroh became famous with dancefloor-hits like „Licht“, „Tanzen“ and „Wolke 7. The album was released under the label „Kick Fresh Recordings“ and is available everywhere were you can buy CDs! Get it on Amazon.